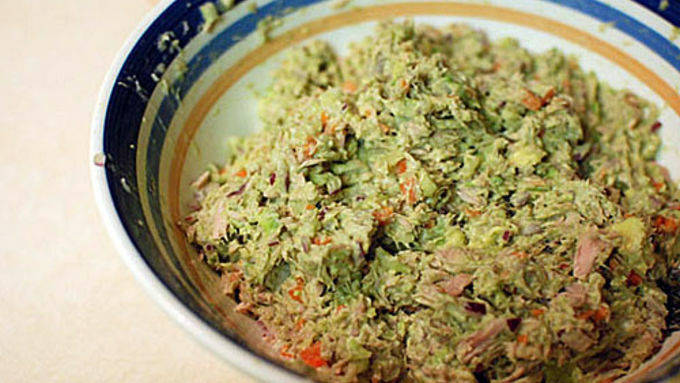 Combine tuna, onion, carrots, celery and garlic in a medium-sized mixing bowl. Remove the avocado from the skin and mash. Salt and squeeze the juice of 1 lemon over the avocado right away to prevent browning. Add mayonnaise to bowl. Thoroughly mix ingredients together, and enjoy on a sandwich or in a salad. If you'll be saving any leftovers, be sure to press plastic wrap directly onto the surface of the tuna to prevent browning. This Avocado Tuna Salad is something I have made at least twice a month for the past few years. 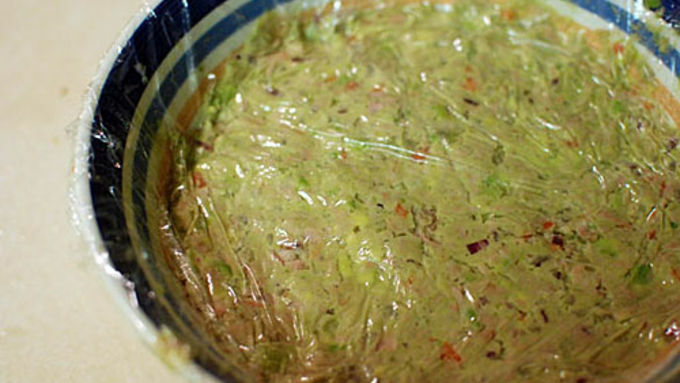 Upon first glance you might think it's guacamole. 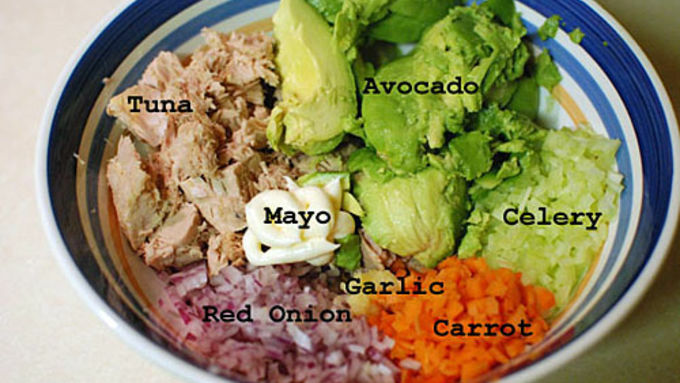 In fact, when I was creating this recipe, I tried to merge guacamole with tuna salad. The avocado substitutes for most of the mayo to make the tuna creamy, while minimizing the bad fats mayo brings to the table. I usually make enough for dinner and then lunch the next day. Avocado has a reputation for browning quickly, so make sure to add plenty of lemon juice to the recipe. Also, when you put it in the fridge, press the plastic wrap directly against the tuna to prevent air from getting at the avocado. 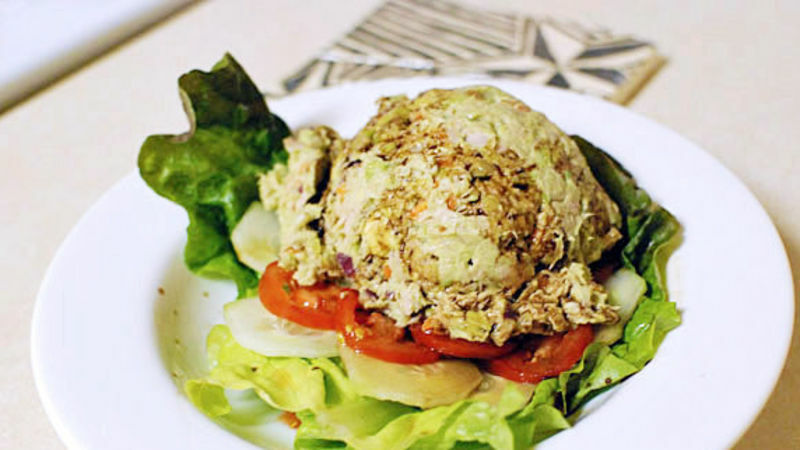 Add this tuna salad to a sandwich with some balsamic vinegar, cucumbers, tomato and lettuce for a perfect meal. So tasty! I just might have to make a batch tonight.